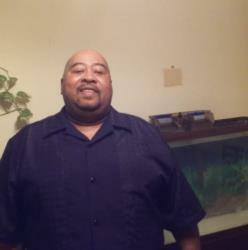 Obituary for Joseph Solomon Sr.
Suitland, MD - Joseph Solomon Sr., 57, formerly of Enfield, NC, transitioned into eternal rest on Thursday, September 20, 2018, at the Prince George Hospital. The family will be present 6 pm - 8 pm, Friday, September 28, 2018, to receive family and friends as they reminisce on the life of Mr. Solomon in the chapel of S. Jones Funerals and Cremations. A Celebration of Life Service will be held 1 pm, Saturday, September 29, 2018, in the sanctuary of the House of Resurrection Church, 102 N King St, Whitakers, NC. As I come to reality that my Uncle Carl has gone home to be with the Lord my heart saddens but another part of me realizes he's at peace and in great hands..Lord I ask that you take care of my Uncle through eternity..GOD BLESS MY FAMILY AS WE COPE WITH THE LOST OF MY HERO MR.JOSEPH SOLOMON SR..
My heart is so heavy, as I am just finding out about the passing of our Classmate. May God keep and sustain his family, you all are in our continued prayers. God make no mistakes He saw that His child was suffering and called him home.